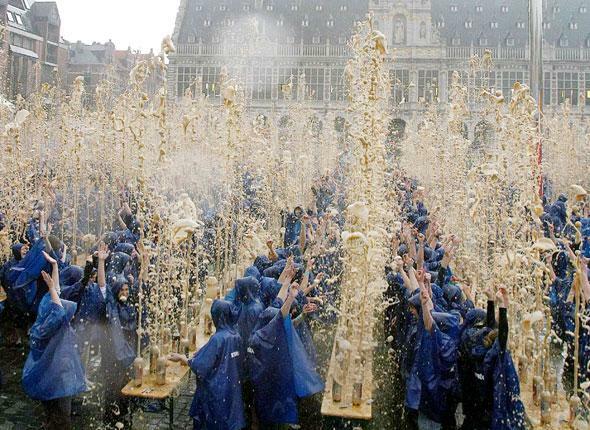 Ever See 1500 Coke Fountains Blow at Once? You don't really want to. Not sure where Mentos fits in but it doesn't look like there was a lot of fresh-making going on. Did it sponsor the raincoats or something? Something to contemplate while looking over previous Mentos/Diet Coke collabos. Thanks Influencia for sending this over.